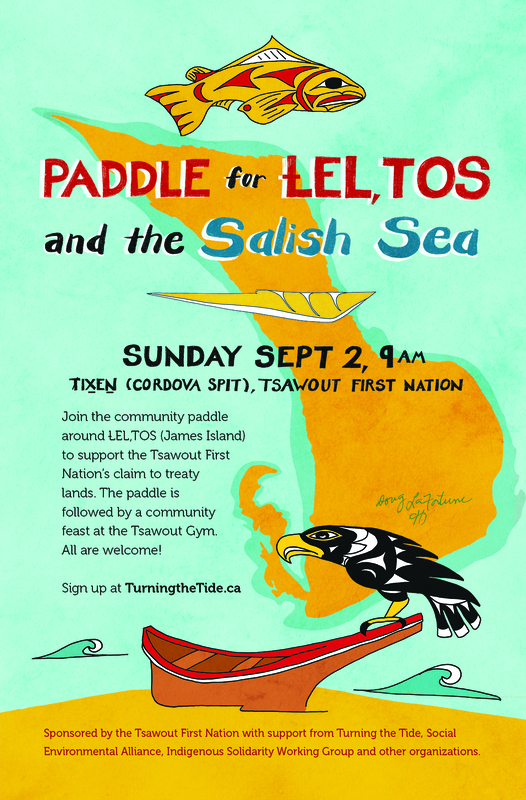 We are excited to announce the line-up of Community Celebrations happening throughout the Southern Gulf Islands in conjunction with the Turning the Tide: Peoples’ Paddle for the Salish Sea! 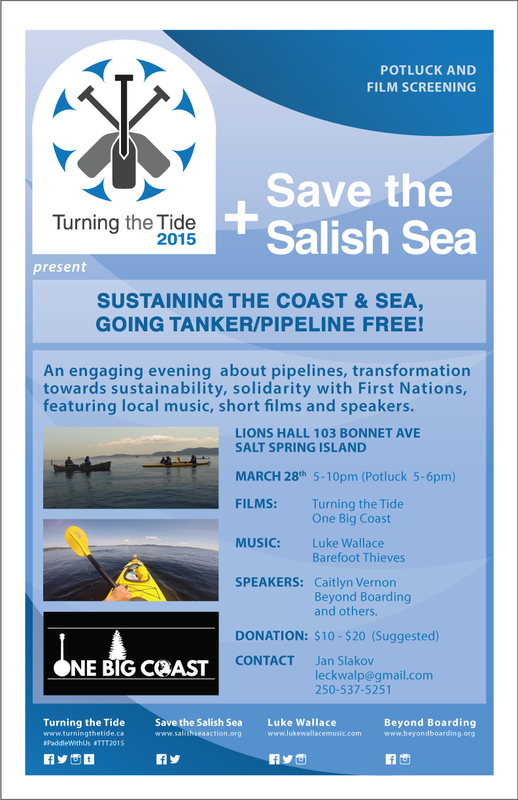 The flotilla provides a powerful opportunity for islanders from throughout the Salish Sea to join together to demonstrate our love for the coast and commitment to transition to a post-carbon future! Join us for the Community Celebration on Salt Spring Island this Friday July 24 at 5:00 pm at Ruckle Provincial Park as we demonstrate our love for the Salish Sea and our commitment to turn the tide toward a post-carbon future! All welcome! 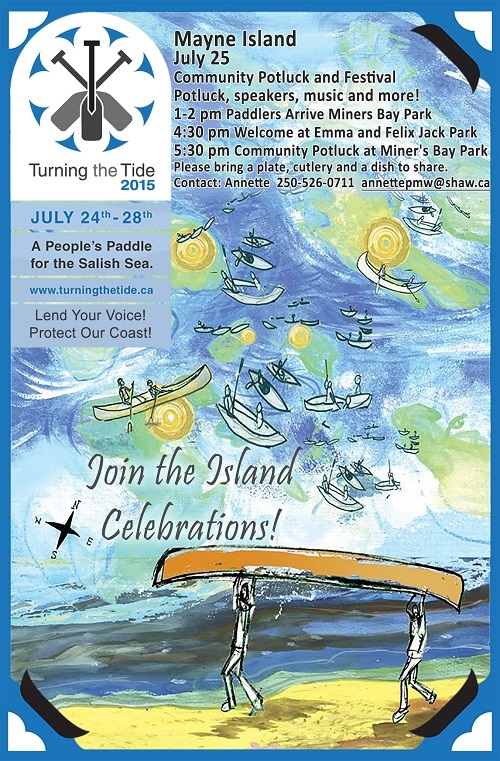 Join us for the Community Celebration on Mayne Island this Saturday July 25 at Miners Bay Park as we demonstrate our love for the Salish Sea and our commitment to turn the tide toward a post-carbon future! All welcome! 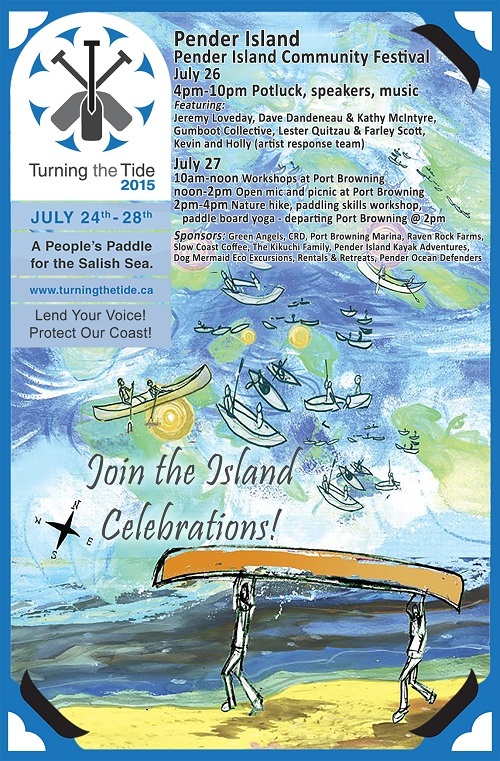 Join us for the Community Celebration on Pender Island this Sunday July 26th and Monday July 27th at Port Browning as we demonstrate our love for the Salish Sea and our commitment to turn the tide toward a post-carbon future! All welcome! 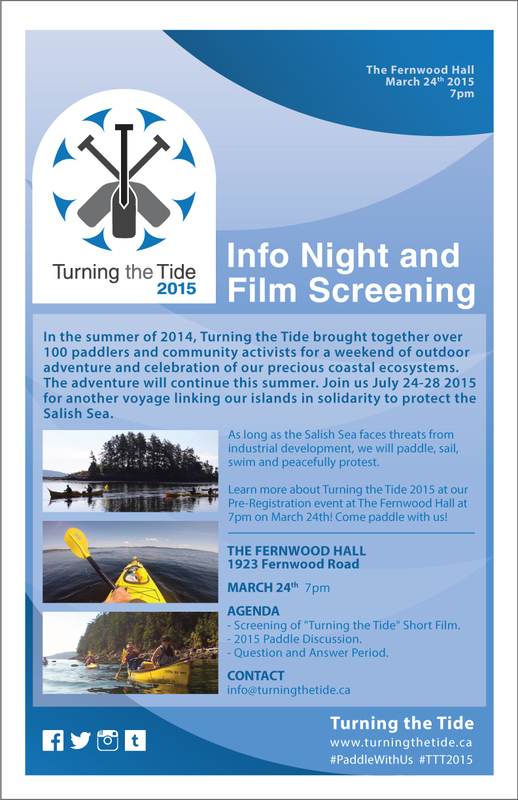 – Screening of “Turning the Tide” Short Film.